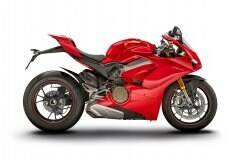 \r\nThe Ducati Panigale V4 added to its collection of accolades by being named bike of the year and sportsbike of year in the 2018 MCN awards. 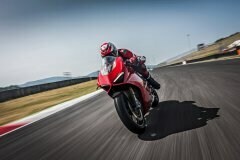 \r\nThe latest generation Ducati sportsbike has been described as ‘technical masterpiece’ by Motorcycle News and lauded for its prowess on both track and road. \r\nMCN road tester, Michael Neeves said of the V4 S, “No superbike comes with such, speed, power and technology, mixed with style beauty and surprisingly civility. Best of all the V4 S makes you feel so special and it’s so unutterably gorgeous that you can’t take your eyes of it. The Ducati Panigale V4 S is everything an exotic superbike should be and so much more." \r\nThe latest awards from MCN for the Panigale V4 follows the recent Sun Motors award for best motorbike, the Ducati was chosen by the Sun newspaper readers, with over 200,000 reader votes cast. 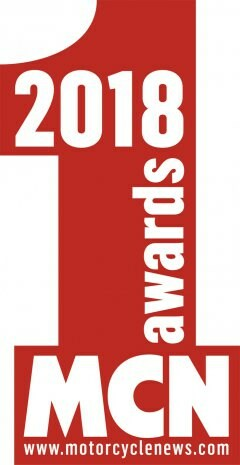 \r\nThe Panigale V4 completed a hat-trick of awards by also recently scooping both the Autotrader sportsbikes of the year and overall bike of the year. \r\nTim Maccabee commented on the latest clutch of awards. "It is an honour to be recognised by both the motorcycle press and the motoring press with these prestigious awards. The Ducati Panigale V4 is a very special motorcycle and has received universal praise, so to have this recognised by both the public and press in the form of these awards is fantastic."